This useful padded keyboard bag is made from robust 600 denier water resistant polyester. Fitted with webbing carry straps, there is an additional detachable adjustable shoulder strap with comfortable PVC cover padding. Twin pull zips offer secure fastening, and the keyboard is protected by non-woven fabric inner lining which will not scratch, stain or mark. 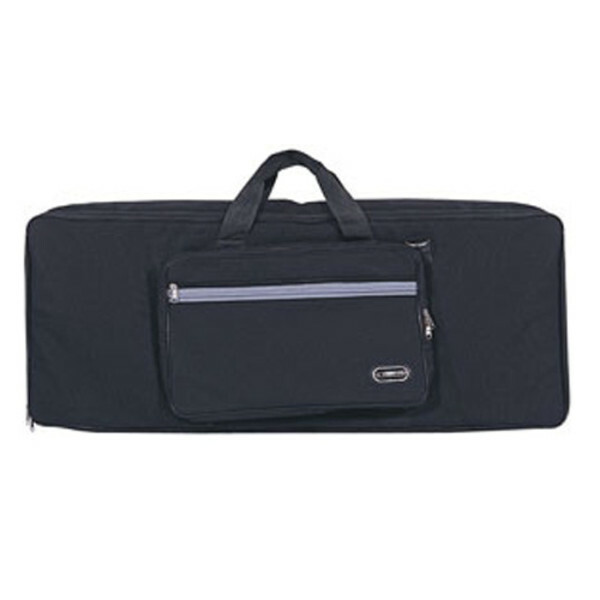 An extra large zipped outer pocket carries those vital practice and gig accessories.